Fall Landscape. 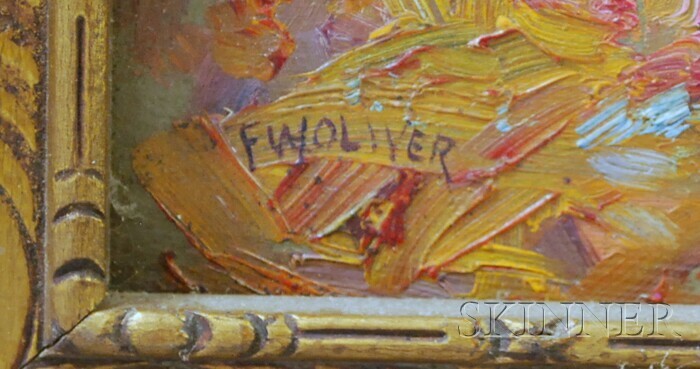 Signed "F. Woliver" l.l. Oil on panel, 8 x 10 in., framed. Condition: Surface grime.